Annually, Michigan Sportsmen Against Hunger facilitates the donation of what is equivalent to 125,000 high-protein meals. Meals that, with the help of community food banks and the Food Bank Council of Michigan, go directly to feed the hungry throughout Michigan. COMSTOCK PARK – Flanked by his wife and children, he hung his head and explained there was no money for groceries. “Well, I can’t help you with groceries. 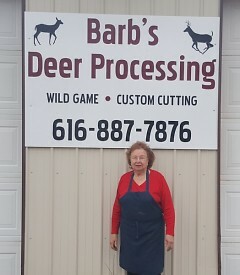 But I sure as heck can help you with some meat,” proclaimed 81-year-old Barb Haveman, owner of Barb’s Deer Processing. Every year, Haveman donates thousands of pounds of ground venison through the Michigan Sportsmen Against Hunger (MSAH) program. 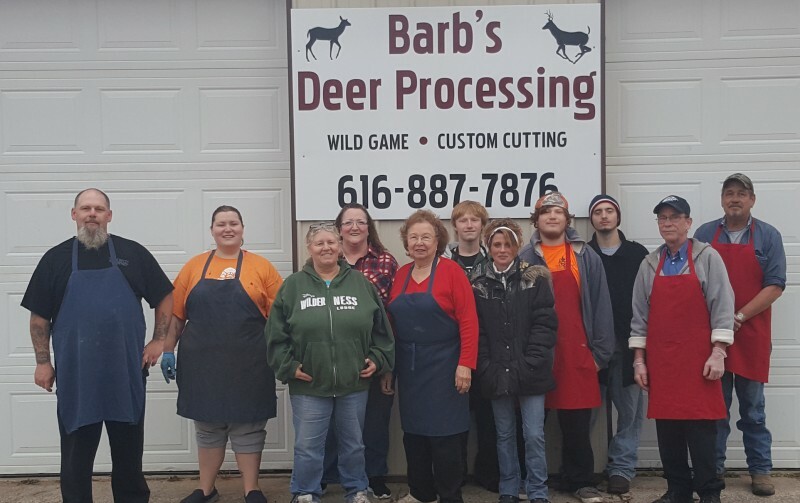 The nonprofit, all-volunteer program is in its 25th year and has assembled a statewide network of wild game processors and charities to help channel venison donations into the hands of those in need. Michigan Sportsmen Against Hunger facilitates the annual donation of approximately 25,000 pounds of processed venison – which is equivalent to 125,000 high-protein meals. The program’s board includes representatives from the Michigan Department of Natural Resources, Safari Club International, Michigan United Conservation Clubs, Michigan Bow Hunters, Food Bank Council of Michigan, United Methodist Men, Quality Deer Management Association and Ted Nugent United Sportsmen of America. 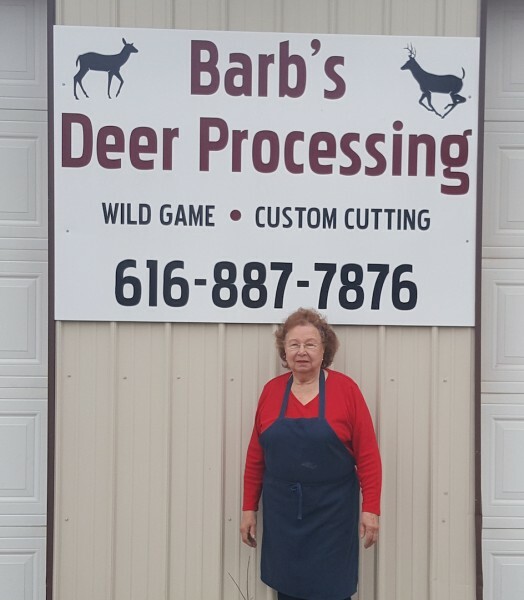 Barb’s Deer Processing has been part of the network for 25 years. But for six decades Haveman has been teaming with customers to help hungry folks. Haveman and other processors receive a small reimbursement from MSAH for each pound processed. An average deer usually yields about 40 pounds of meat, Hall said. The meat is distributed with the help of community food banks and the Food Bank Council of Michigan, which represents food banks in all 83 Michigan counties. They store and distribute food on behalf of their member agencies including food pantries, shelters and soup kitchens. Venison is a great source of lean protein, Hall said. Hunters who wish to donate a deer can find a statewide list of participating processors on the MSAH website. They can opt to donate an entire deer to the MSAH program, in which case the processing cost is free. Or, they can “Give a Pound” by paying for the processing themselves and donating a portion of the meat to the program. “They just let the participating processor know the deer is going to be donated to the Michigan Sportsmen Against Hunger program and they don’t have to pay anything if they donate the whole deer,” Hall said. “All game donations stay in the area where it’s processed to feed the needy in the community,” Hall said. Anyone purchasing Michigan hunting or fishing licenses can also help by donating $1 to the program, Hall said, or by making a donation directly to MSAH. Haveman, who runs her business with the help of her extended family, said they’re honored to be a part of Michigan Sportsmen Against Hunger. “It gives you a special feeling when you see these little kids running around with nothing to eat and you know you had some small part in filling their bellies,” she said. To learn more about Michigan Sportsmen Against Hunger or to join the organization, call (586) 552-6517 or email [email protected].